Looking to loosen up those muscles, sweat out all that booze inside your dad bods, and satisfy that wanderlust, all at the same time? Pack your bags, fill that water bottle, don some comfy overalls—we're going hiking! You've probably already heard of its famous monolith and its eponymous parrot's beak peak. Standing 664 meters above sea level, Mt. Pico de Loro in Maragondon, Cavite is your baptism of fire. 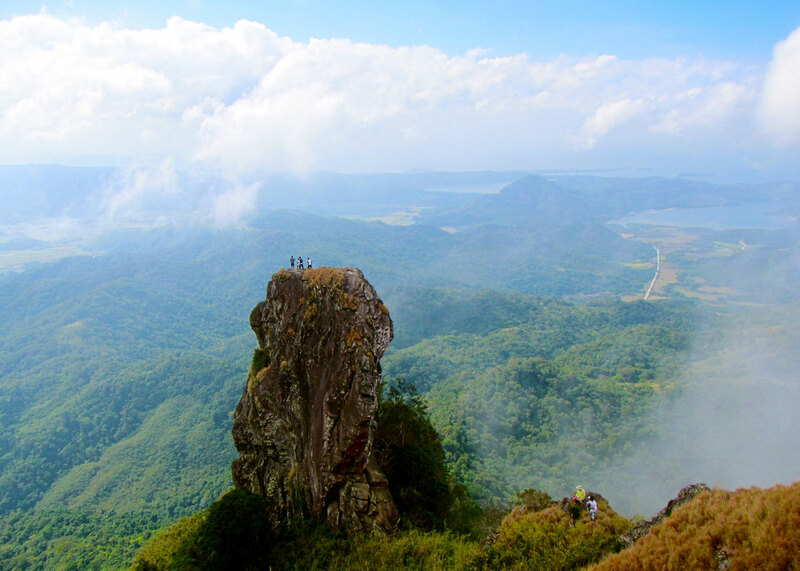 Ideal for beginners because terrains are not too steep or hard to climb, Pico de Loro is your best—and probably, safest—bet when starting your mountain bucket list. A day tour or an overnight stay are both recommended. The trail is divided in two parts: one is a gradual ascent, another is a steeper assault to the campsite. Upon reaching the summit, be mesmerized by the killer view of greens and the Pico de Loro beach. Better yet, climb the 50-feet monolith for the best vantage point. Just to warn you though, Pico de Loro is known for its strong winds so be extra careful. If you want picturesque seascape of the Batangas and Balayan Bays, then Mt. Gulugod-Baboy is the place to be. The weird name of this jaw-dropping destination translates to "pig's spine" in English, as seen on the contours of its hills and the shapes of its peaks. Cows and goats passing by is also a familiar sight while going up the grassy, scenic mountain. The trail is easy and the ascents are highly manageable, making it a giveaway to first-timers. Perfect for day trips, it takes only around three hours up and down the trek. Stop over for halo-halo and other refreshments on your way to the summit. Of course, ready your selfie sticks and GoPro cameras for the stunning view from the top. Want a quick getaway from all the city's hustle and bustle? Head to Mt. Daraitan, which sits near the border of Tanay, Rizal, and General Nakar. Its major jump-off point is just a few hours away from the metro, located in Tanay, Rizal. The hike up is a straight 600-meter ascent; don't worry though, as there are holds aplenty, plus a trail that is well-maintained—yes, your knees are safe. It may be challenging for newbies (so we suggest you start with the first two above), but the limestones, caves, springs and pools are worth your every sweat. Staying overnight might require some tent-pitching. And we recommend that you do—make the most out of this trip and explore the Tinipak Cave. 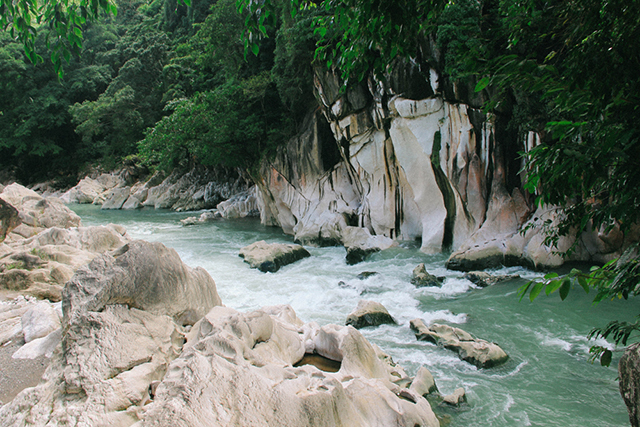 The secluded river will make you forget about the three hours it took you to trek downhill. 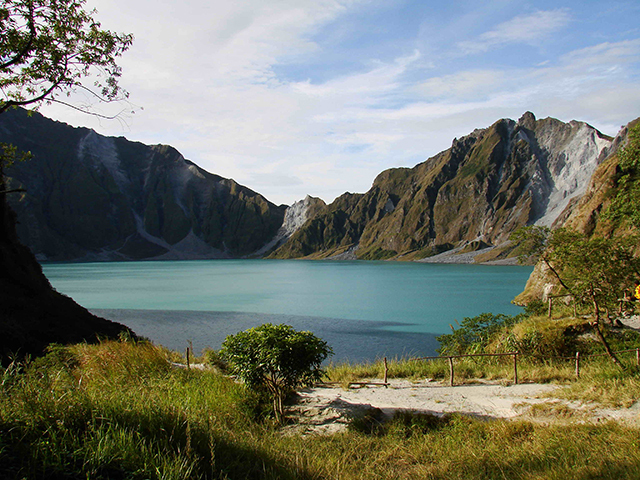 Pinatubo is one of the fastest-rising tourist spots in Central Luzon. This once-furious volcano, which left a mark of cataclysmic proportions when it erupted in 1991, has now become an attraction to all kinds of jet-setters. After a bumpy ride aboard a four-wheel drive, Pinatubo is set to take your breath in sheer amazement with its breathtaking vista and serene lake of the same name. Yes, you're welcome. Do not be intimidated, the famous Mt. 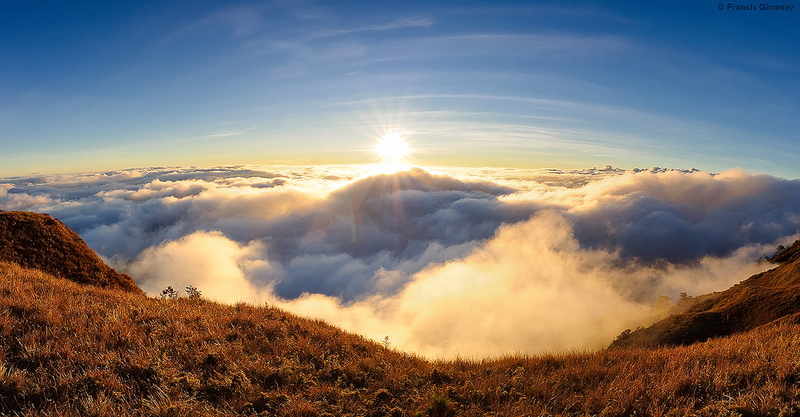 Pulag (read: sea of clouds) has trails a beginner can handle. 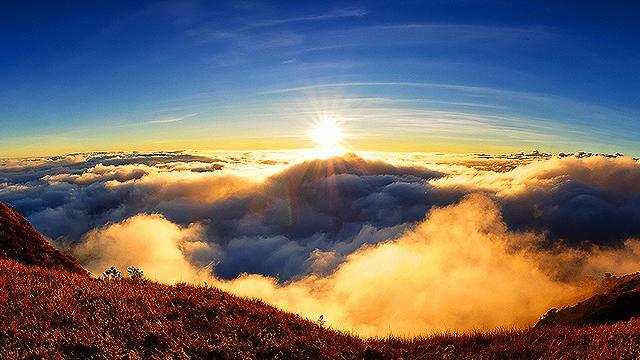 Called the "Playground of the Gods," this 2,930-meter mountain is the third highest peak in the country and the highest in Luzon. 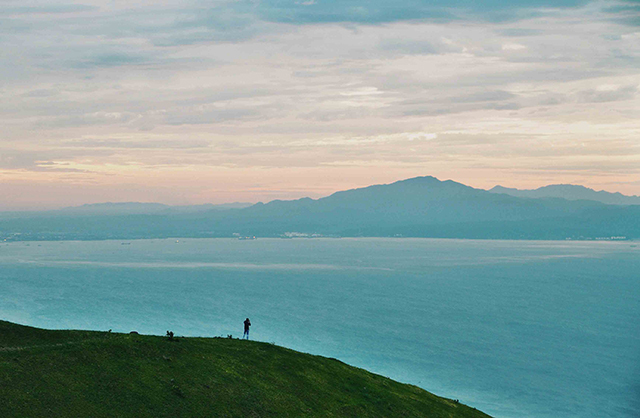 A six-hour drive to the northeast of Baguio City, Pulag's proximity to the summer capital makes it a popular stop. Ready your thermal clothes, beanies, and everything to combat the freezing climb, because: high altitude = cold weather. Don't underestimate the cold and say, erhm, it won't bother you anyway, because believe us, it will. Best months to climb Pulag is from November to March; go for the friendliest trail for beginners, Ambangeg from Benguet.